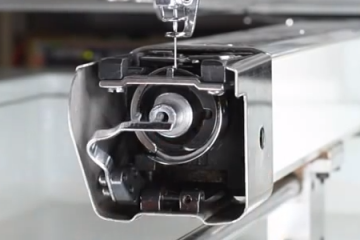 This is part two of the needle depth adjustment video, but can stand on its own. 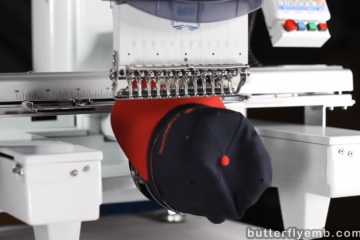 This video pertains to the Butterfly single-head machine. Stop position on each needle bar is what ensures the bar is at the correct height to be grabbed by the main shaft’s reciprocator. Since there is only one reciprocator but many colors, the reciprocator has to rest out of the way, and the needle bars have to rest in a spot that the reciprocator can get to as needed. If needle depth has been adjusted or lost due to slippage, then the stop position has a good chance to be incorrect. If it is too high, it may damage parts of the machine, or at least make extra noise. 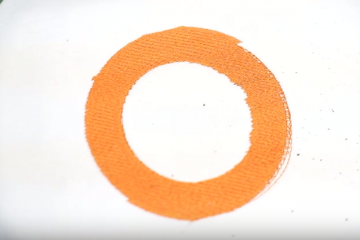 If stop position is too low, then the reciprocator will fail to grab the bar, and that particular color will only appear to vibrate when you try to sew, but not go down. The stop position clamp only has a millimeter or two of leeway upwards, and not even that downwards. Generally it will not slip, it should only be affected by needle depth changes, or a clamp screw that was left loose. The needle depth adjustment video (version 3) should be watched before this video. Hook timing is recommended to be watched after. Be sure to clean regularly; you will notice lint and oil splatter in the needle bar compartment. It is going to add up if you leave it alone. Clean your machine a little, and oil all moving shafts!